Crafting With Craig: Snow is falling card. Reindeer and snowflake stamps - STAMP9044 - Kanban. Spectrum Noir pens - BT2, BT3 and 1G1 (for shading) - Crafters Companion. 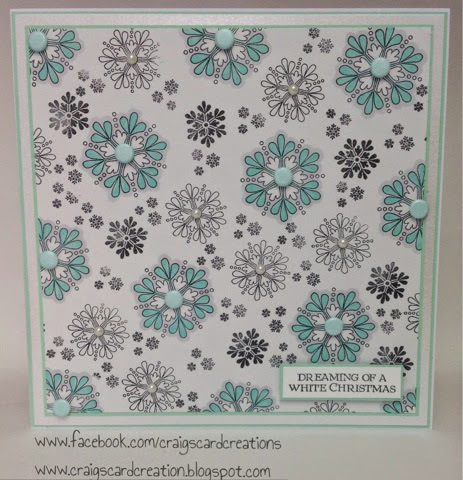 White Neenah stamping card - Crafters Companion. White card candi - coloured with BT3 - Craftwork Cards. 12x12 pastel green textured card (x2) - Create and Craft. 4mm white pearls - Hunkydory.